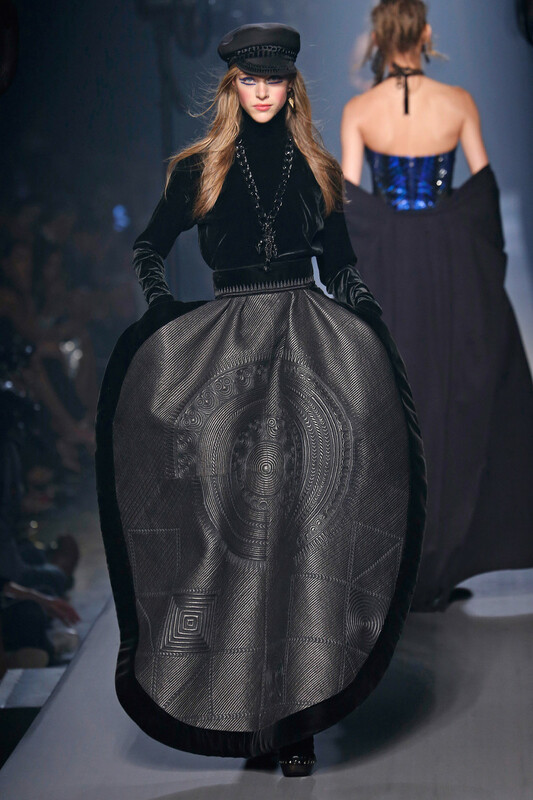 Jean Paul Gaultier has been doing the #throwback quite a lot lately. 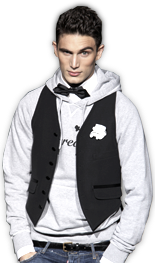 With his retrospective exposition, naturally, and with his final ready to wear show, of course. But apart from those career milestones he has been staying true to his success numbers anyway, bringing back to life his mariniere stripes, trenchcoats and cone bras every single time. 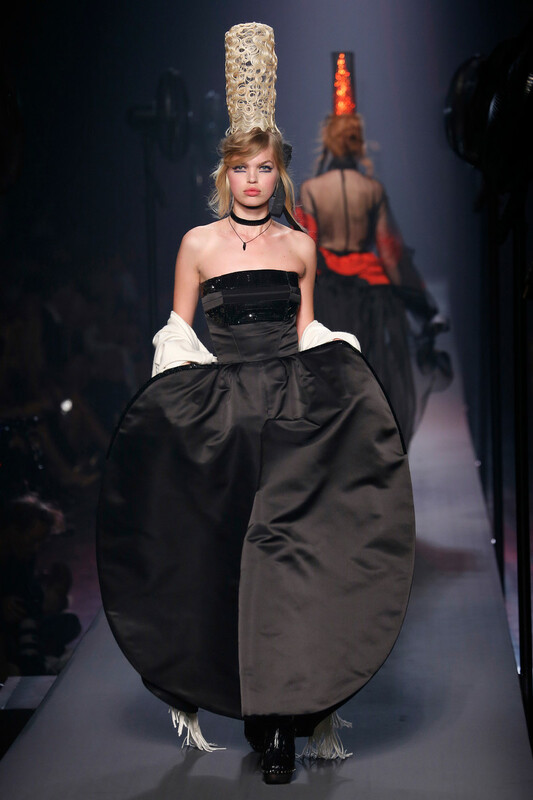 Today’s JPG couture show was no exception. His first look worn by Anna Cleveland already gave that away. 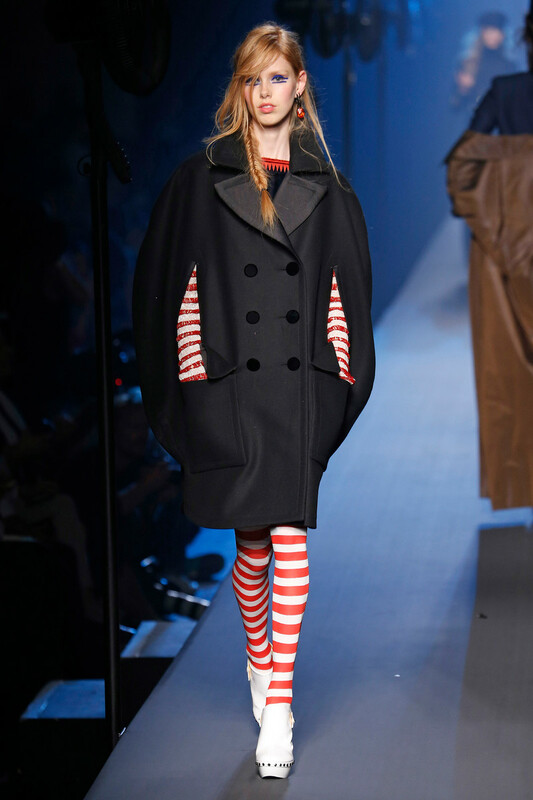 Striped knee high socks and sailor hats welcomed us in Brittany as the collection evolved from rather casual into spectacle. 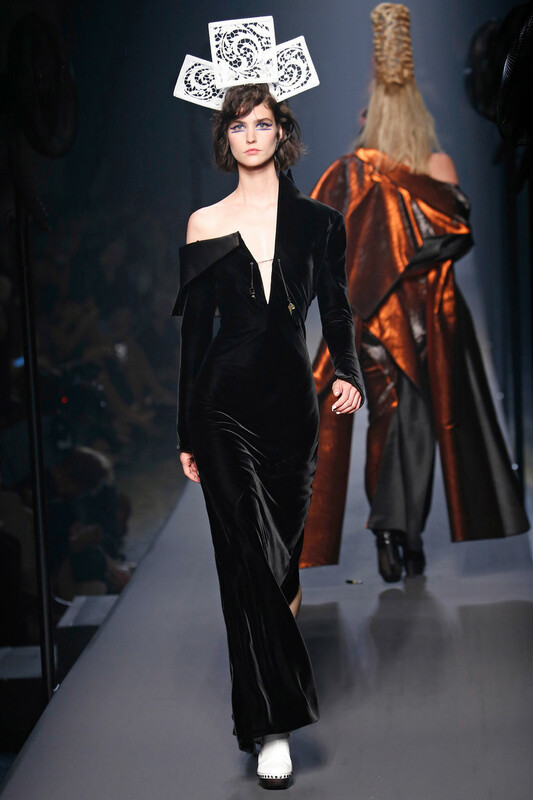 Gold threated embroideries on a number of black outfits put the couture in the collection halfway the show. 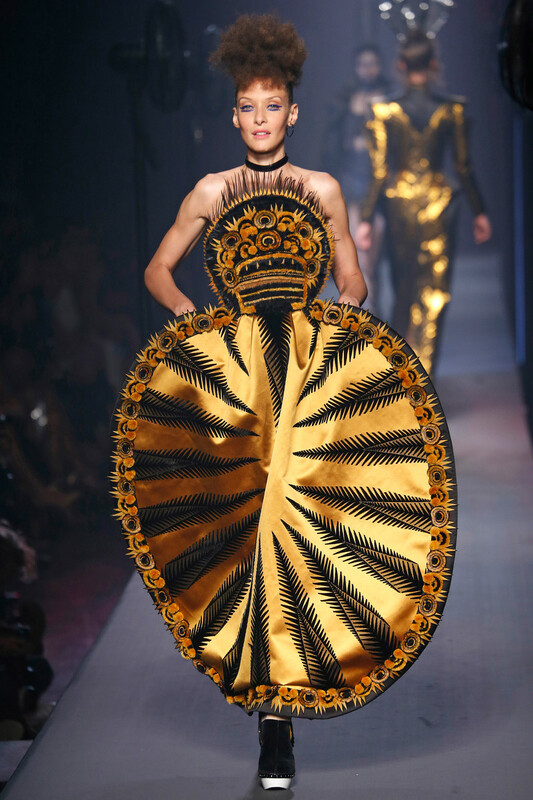 Circular skirts, towering high hats (or was it hair? ), double pointy shoulders and fur detailing added some extra playfulness. Designs to love and to hate. The final creation, fully made out of animal skin/fur sure made a lot of people frown. But JPG won’t be bothered. 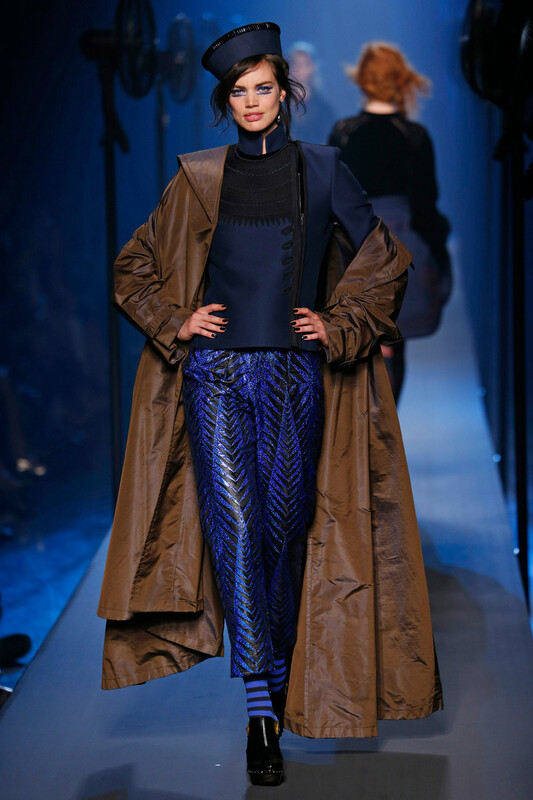 He has earned his stripes in the fashion world and is having more fun than ever.